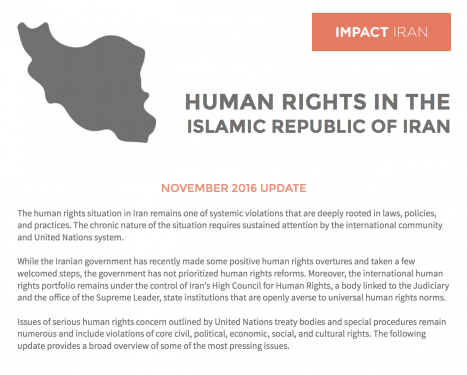 Impact Iran’s advocacy efforts at the 71st session of the UN General Assembly included guides and infographics and letters in support of the resolution, “Situation of human rights in the Islamic Republic of Iran,” passed in November 2016 (read the full text of the resolution here). 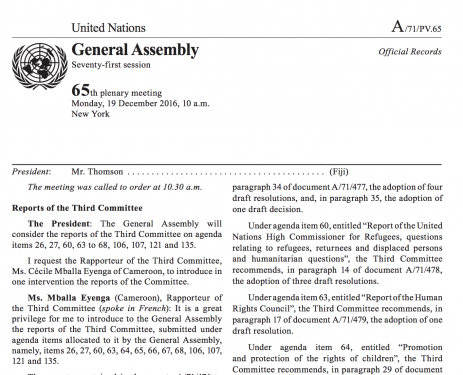 Documents related to this work, along with the resolutions and voting records, can be found below. 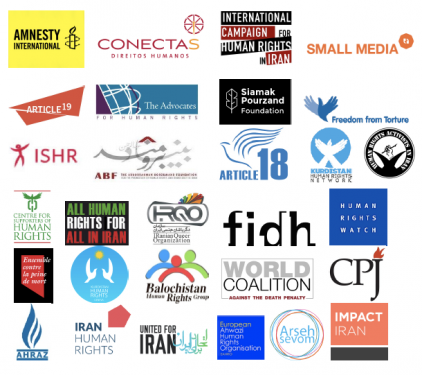 Letter written on behalf of the many human rights organizations, that are focused on improving the situation of human rights in Iran, appealing to UN member states to vote in favor of the resolution. 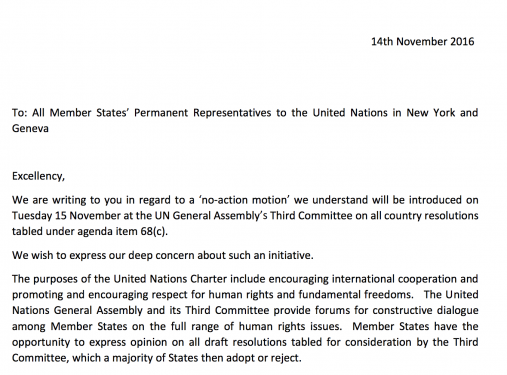 Letter written on behalf of several organizations expressing their concern over the introduction of a ‘No actions motion’ in the UN General Assembly’s Third Committee on all country specific resolutions. 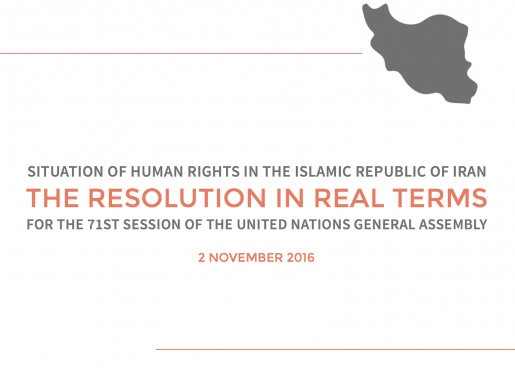 A guide that provides accounts of human rights violations as evidence to support the validity of the adopted operative paragraphs of the resolution. 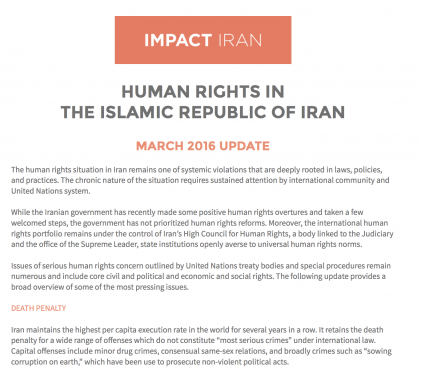 Broad overview of the most serious issues going on in Iran through the first quarter of the year. 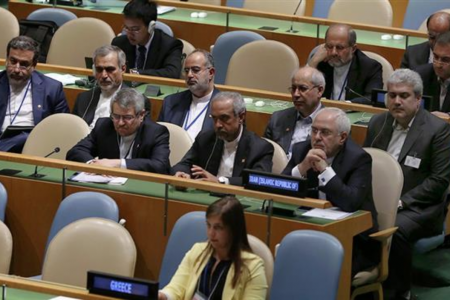 Broad overview of the most serious issues going on in Iran leading up to the UN General Assembly’s 71st session. 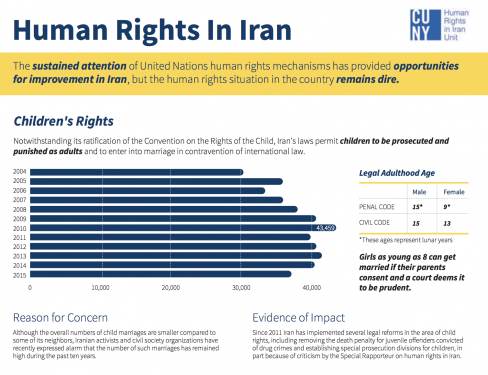 Graphic displaying various statistics, graphs and charts revolving around the issues of Children’s rights, Women’s rights, Freedom of Expression & Human Rights Defenders and Death Penalty. 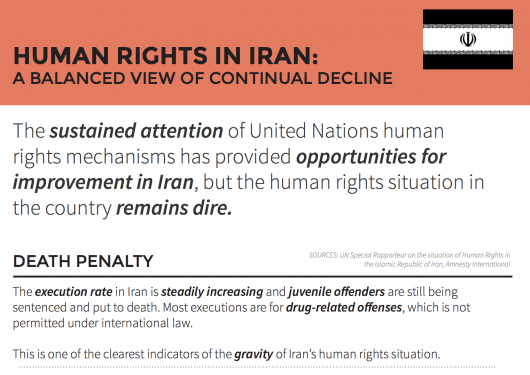 Infographic on the rising execution rate, sentencing of juvenile offenders, high number of political prisoners and legislation that would violate women’s rights. 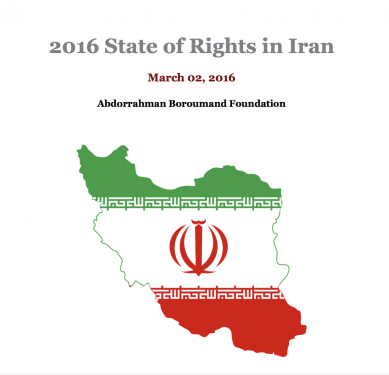 Report supplied by The Abdorrahman Boroumand Foundation discussing violations of due process and the judiciary, the upcoming election and giving updated statistics on executions through March 2016. Includes voting record on resolution.